Busy Bee is one of the iPhone app ideas that started off simple. While working on a few other project ideas this got to be a spinn off and became an app of it's own. What we tried to achieve was simple yet was/is not available for the iPhones. The idea was like most other phones (Nokia, etc) when you get a missed call / reject call, automatically compose a message (text/sms) to the caller from a template of messages. This becomes very useful when you are busy at a meeting or while driving, etc. This is not new and widely used. Now one might think it must be easy. Yes it sounds simple, but when you have to work with iPhones (not jailbroken) you obviously don't get much freedom outside the boundaries set by Apple. That is one of the challenges about iPhone development. We saw some limitations and a "gray" area where we decided to take a chance. The biggest problem we had was even thought the Core Telephony framework was introduced, it never gave you a way to get the caller ID of the incoming calls. This created a major problem as we can't automatically put the number after composing a SMS (the new SDK did allow you to compose a SMS though you can't send them out automatically). So the solution we thought of was to take a risk with an private API "UIGetScreenImage()". What we did was while the app is running in the foreground if an incoming calls comes we capture the screen and process the image and do an OCR to capture the number (MSISDN) of the caller. This included looking into the Address book if the caller is already listed. This solved the problem of call id, next we implemented a white list and a black list option for the user along with options to customize templates. This did the trick. This was not the right way to get things done, but we had no other option to solve the problem. The risk was in late 2009, Apple announced it would begin to allow iOS apps to use the private API however it did also say "A future release of iPhone OS may provide a public API equivalent of this functionality". This proved to be the case when we submitted the application, we got rejected. This was expected. We took our chances. Since we had done some work on the App I did not feel like giving up. It was a small project but I always enjoyed this kind of tools and it was a fun project. So we decided to take off the features and put up a basic version with a new UI. The new app will still get you a composed text message when you are on busy mode, but you had to manually fill in /select the number. You also could use the app as a SMS templates application as the iPhone does not come with any SMS templates features. This becomes useful when you want to send out standard SMS messages and if you are busy/lazy. Example "Almost reaching, come down in 5 mins", etc. As of today it's still pending approval as Apple usually takes around a week or two to process. Below are some screenshots of the new app. This is one of those fun apps and I thought I'd share the experience with other developers. 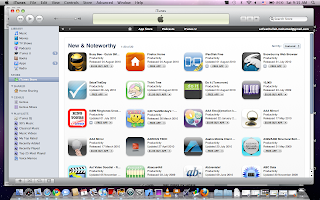 The app is approved and in App Store. 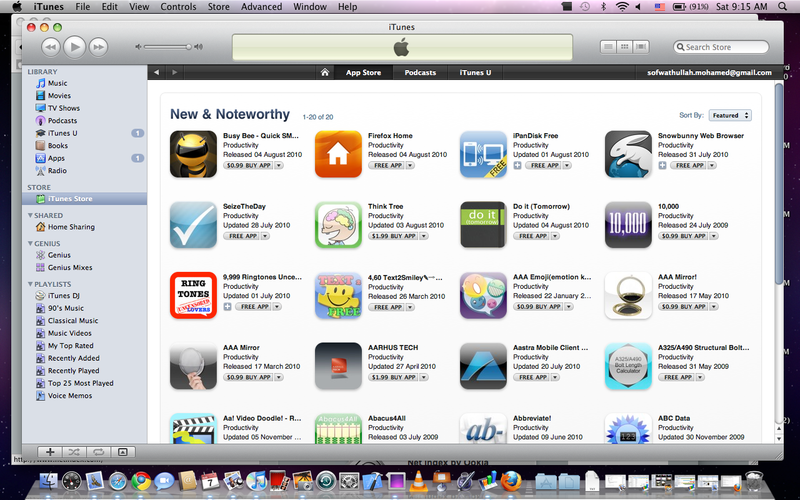 We also were listed on "New & Noteworthy" Apps in App Store. New update on app store with additional fonts. Haveeru.com.mv is having issues of font rendering. We have already fixed this with a UI change. Update will be submitted to app store approval today. App now supports Bookmarking users favorite sites. Will be adding more fonts and making an update. No posts for long, so thought I'd post something to keep the blog active. First question. Waaaaatz up? Nothing much is the answer. Been busy with work and a bit of studies. It's been really busy few months trying to get another startup kicked off. This time it's all about mobile applications. Best part about the job is the team and the freedom to bring your ideas into a reality. I feel there is an exciting future for mobile apps. It's an exciting field to play in and challenging too. You constantly have to work to keep up with ideas and technology. Best of all you get to be part of exciting stuff/time. Working with a team of talented developers/designers is really fun but at the same time a lot of pressure. You need to ensure the right products are delivered and you manage to get them out by the set time lines. I am struggling on that now. We started off with a few big ideas that needed research and time to develop. Things have started to come to life now and I am excited as I see them come alive. Simple ideas that involve getting data from users and storing them on to a DB with a fancy web page does not excite me anymore. There is a lot of fun apps and exciting productivity / utility apps/tools that you can work on. Thats what we are working on now. Developing apps for iPhone/iPad is really a challenge. There is the limitations setup by Apple vs. the ideas you have. You need to ensure that your ideas get implemented within the boundaries and developer guidelines set by Apple. However I think the iOS is the way to go considering the apps market factor (for now). We are also exploring into the Androids, which is I guess more appealing for developers cos of the freedom they get. I think for any mobile apps company like us, we need to keep up with all the environments and cater to the demands. It's not good to limit to just iOS, Android or Windows Phones. I've always enjoyed working on localized (thaana/dhivehi) apps. Published an iPad Dhivehi News reader a month or two back. Initially the work was done for my dad while he was visiting me and he got a new iPad. Later with some minor changes I published it. It's a very simple app the idea that is to help people view Thaana on websites. So far I had around 250 + downloads of the app. I have no idea who they are, but I think not all will be Maldivians as the app is FREE. I did work on an iPhone version too but did not publish it as it needed some polishing. Together with a colleague of mine from work we plan to publish the iPhone version. This will be more an experiment, I wanna have an idea of the iPhone app usage in the Maldives. A news reader might be something that might attract most of the users so it will be easy to estimate the figures. One problem with having an app for FREE is that anyone might download it (not just Maldivians). So this time will not make it FREE. As for the Maldivian market, it's not worth developing mobile applications targeted to Maldives. The market is too small. Example if you position your app around $ 1.99 with 500 downloads you would only make $ 995 of which you'd only make $ 696.5. This only applies if you develop applications specific to the Maldivian market, but it's always good to know the numbers and have an idea on the market. If anyone is thinking of developing an app specific to the Maldivian market I guess they won't have much choice but to price it a bit higher or just do it for FREE for the fun of it. Anyway I hope we see more apps coming out of Maldivian developers. I feel it's time we explored outside the web apps also start thinking global. Think of ideas that will appeal to the mass market and get them rolled out. My guess is when Windows Phones come out we'd see a few developers publishing apps as we have a lot of good/talented Windows developers in the Maldives. One of the other ideas that I have is to get an open source OCR tool published for the Dhivehi Langauge. We have been working on a similar project and once we are done with it, I think it would be easy for us to publish/port a Dhivehi/Thaana OCR framework. Already I've seen some demos of Thaana OCR Windows application on the Web. I guess these will be commercial tools though. This might take us a few more months to publish, once we do I guess it can be taken up by the community and improved on.